Just like brownies and apple pie, donuts are a staple of Americana. Having already stood the test of time, donuts are currently enjoying a resurgence of popularity. 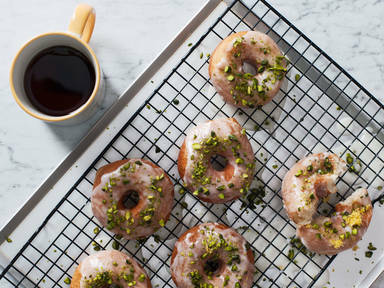 Artisanal bake shops all over the US are breathing new life into donuts with imaginative flavors and recipes. Unsurprisingly, sweet-toothed fiends have been lining up by the baker’s dozen to get ahold of the sugary breakfast treats. But instead of joining in the line, why not make some donuts yourself? Learn how with our latest recipe video. Pro tip: Enjoy them with a nice hot cup of coffee to keep the sweetness in check.